Getting a business loan in India is easy, but finding the right provider that charges low fee and interest rate, can be a challenge. 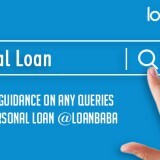 You can always compare offers by NBFCs and banks on websites such as loanbaba.com, and know the best deal for you. At the same time, you must understand which factors are responsible to affect the cost of your business loan. Below, we have discussed the 5 factors that have an impact on your business loan’s cost. Business loan interest rates start at 13%. This is the rate charged over the principal borrowing amount. When repaying the loan, you have to pay both the interest amount and the borrowed principal amount over a period. For instance, you borrow Rs. 10 lakhs at 13% for 5 years then the interest amount payable will be 1,365,184. In this case, the monthly instalment will be Rs. 22,753. Interest rates can vary from a financial institution to another. Higher the rate of interest, greater will be the cost of loan, and vice-versa. There are several government schemes and special deals for agriculture sector, small and medium sized enterprises, and women entrepreneurs. Here, there is a discount up to 2% on standard rate applicable. Public banks may charge a lower rate of interest than private banks and NBFCs, but you should not take this information on face-value. Many times it is the vice-versa. So, it is always better to compare rate of interest on business loan across banks and NBFCs, before finalizing on a deal. Let us understand the relationship between a business loan’s cost and its tenure. The tenure of the loan is usually between 6 months and 5 years. The longer the loan’s tenure; higher will be the overall cost, and vice-versa. By referring to the above given scenario, if you borrow Rs. 10 lakhs for 3 years, the interest amount payable will be Rs.1,212,982. The monthly instalment will be Rs. 33,694. Notice that the EMI amount increases on a shorter-tenure but the overall interest payment decreases. While you may want to keep the loan burden as low as possible, you must choose a tenure that is comfortable for your needs. You must be able to pay the huge monthly EMIs if selecting a shorter tenure. Or you may choose a longer tenure to be able to handle the EMIs. Some financial institutions offer flexibility in repayment that can impact the business loan cost or at least your repayment capacity. For instance, the bank can provide a repayment option wherein you have to pay only the interest amount in the initial months, before paying the standard EMIs. At other times, you may be allowed to pay in lump-sum over a period of time. Flexibility in a business loan repayment can help you to manage your finances better, thus reduce the subsequent financial stress and cost of the loan. Unsecured business loans may carry a higher rate of interest than secured ones. The cost of loan will vary according to the type of loan you have taken. A collateral-free loan is the best in bargain if you do not wish to risk any your business asset in case of a default. But, if an unsecured loan is not a cup of your tea, then you can look for a collateral loan instead. Remember that the collateral will be in control of the bank/NBFC until you repay the loan completely. Read More: How to Evaluate if You Need a Business Loan for Your Firm? You must always compare the fees and charges taken upfront by the financial institution, and settle for one that asks for the lowest fees. Make sure to ask if there is a clause for any hidden fee that could increase the cost of the loan. Processing Fees: A processing fee is mandatory for all applicants and can vary between 1% and 3% of the entire loan amount. Sometimes, banks may issue a limited period offer of zero processing fees to attract customers. 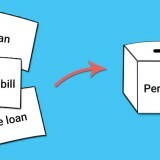 Prepayment and Part-Payment Charges: You can prepay the loan in complete after paying certain number of EMIs or partly pay the loan in the borrowing period to reduce the burden of monthly EMIs. The lender can charge pre-payment and part-payment charges, which is a percentage charged over the outstanding loan amount. These charges are lower than the applied business loan interest rate. Other Fees: Other fees could be that for underwriting, fetching credit report, application, documentation, reporting, origination, guarantee, loan servicing, valuation of inventory (if any), and other general fee and penalties, etc. NOTE: If you pay the loan on time, you will escape the penalty charges on late or missed payments. So make sure not to increase the cost of loan due to missing payments. There could be charges for cheque bounce as well. This is why, it is important to through all the possible associated penalties to a business loan with your provider. 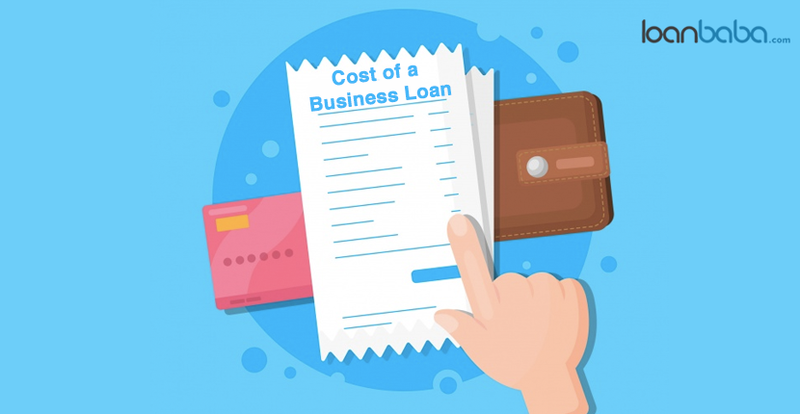 So consider all the aspects of costs related to business loans when applying for the right one in India. You must take your time to analyze offers across banks and NBFCs and go through the charges that influence the cost of loan, before finalizing a provider and a loan scheme. Know about interest rates, charges, and fee applied by banks and NBFCs that impact the cost of a business loan. Next story What is Project Financing and Its Different Sources? 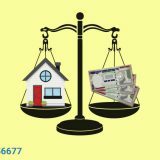 Previous story How to Calculate Tax on Rental Income Considering the Notional Rent?